So, I have started my own craft group. I had a couple of friends over and it will be a monthly thing. Now I sat and finished my sister's bookmark for her. It is a caterpillar from the design library of one of the issues of WOCS. My sister started it and was almost done and totally lost interest. But that is typical for beck with crafts. She hasn't the drive to really do it, she started because it looked kinda interesting but really didn't care. 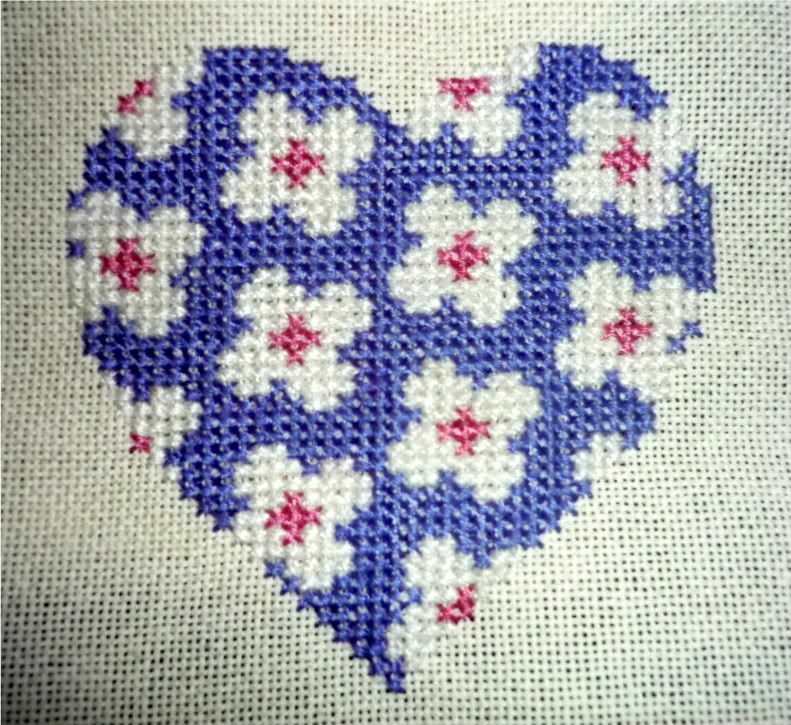 I also managed to finish the cross stitching part of a heart hanging. It's from CSC, and I did fiddle with the colours. It's meant to be green but I like purple better. It was the first time I have ever tried to stitch on evenweave. It was pleasant and it worked which is great. I may have to try a bigger project on evenweave. I'm not running out to start but I will enjoy fiddling a bit more. I can't wait to see what it is like finished but that does mean searching through my fabrics for a backing fabric. It will look good! 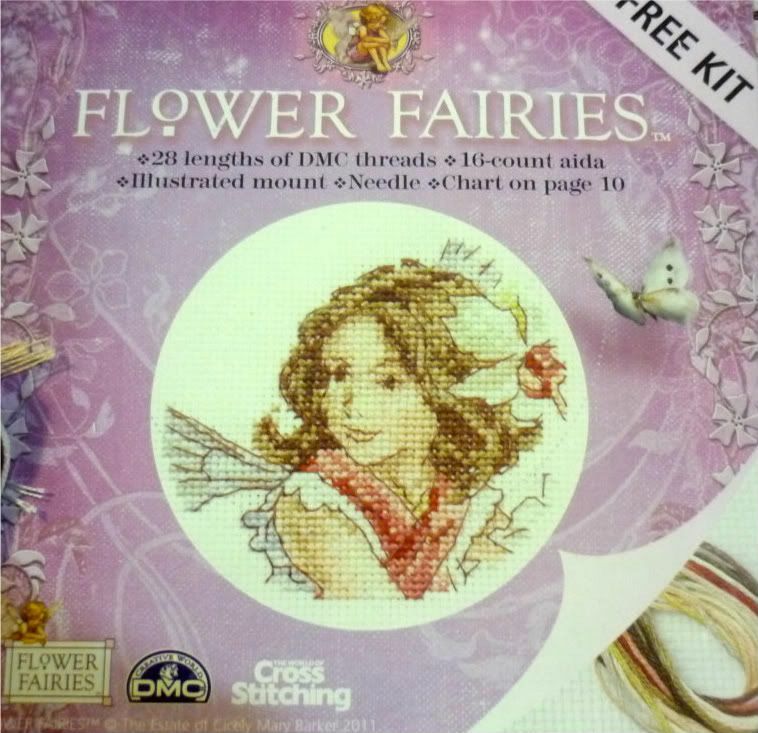 I finally have a photo of the flower fairies kit and I managed to sort through the threads. I feel so happy they are on an organiser now ready to stitch. It will be randomly started when I need a small, small project to carry. love the bookmark,I think that might be my next project, a nice small one after my country companions kit.